I’ve been sitting here trying to reflect on what 31 means to me today. While I’ve got deadlines looming, a busy weekend ahead of birthday celebrations and work every chance that I get, it’s hard for me to devote a lot of attention to the gravity of 31 years with Type 1 diabetes. 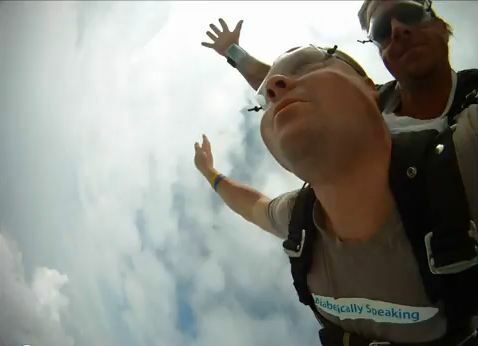 Last year, for my 30th Diaversary, I jumped out of an airplane. It was an incredible experience, and I vowed that I would do something just as equally amazing every year for my Diaversary. 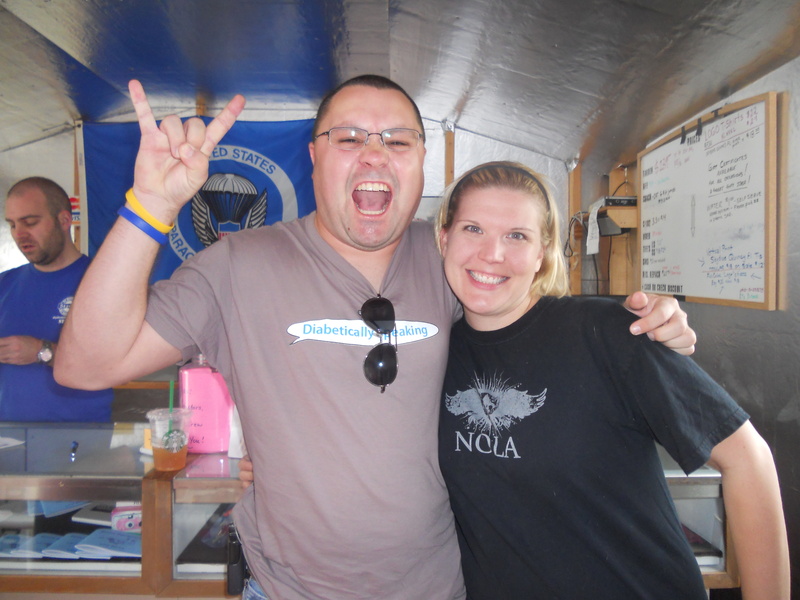 Living awesome with diabetes is worth celebrating every day, but even more so on the day that you were diagnosed with what was once believed to be a death sentence. Today, on my 31st Diaversary, my goals are to meet the five (count them…FIVE!) work deadlines that require my attention. I want to line up some of my blog posts for next week’s Diabetes Blog Week. I need to send some emails, and tie up a few loose ends. I’m hoping to be able to go into this weekend with some semblance of a sense of accomplishment. Oh, and maybe I’m going to a Star Trek themed Murder Mystery Dinner tonight. A. Star. Trek. Themed. Murder. Mystery. Dinner. Make it so, Number One! MAKE IT FRIGGIN’ SO! 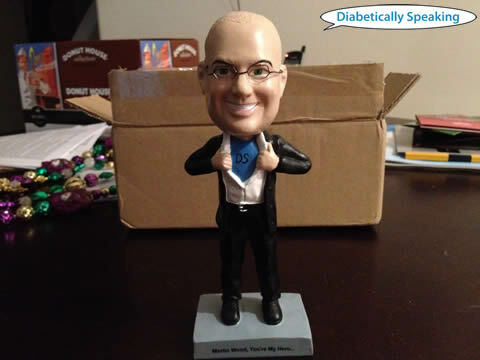 Also, A-Flizzle had a bobblehead made of me for my 31st Diaversary. I’m already imagining all of the adventures and photo opportunities for me and my bobblehead at Friends For Life this year. Check out the caption A-Flizzle put on it. She’s pretty swell. Cue “Awww…” aaaaand…ACTION! All right, Mr. DeMille, I’m ready for my mandatory Diaversary cupcake. I’m turning 30. Well, sort of. Again. 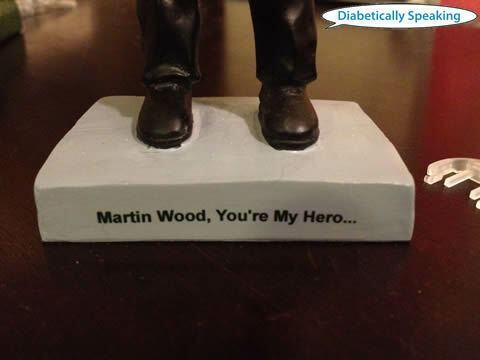 On May 11, 2011 I will officially have had Type 1 diabetes and a busted pancreas for three decades. In all my years with this stupid disease, I’ve never celebrated my diabetes anniversary, so I’m making my inaugural celebration a hootenanny. I could wait until May 11 to celebrate, maybe have a cupcake, create a piece of art, or eat an entire pizza by myself to give diabetes the proverbial pricked middle finger, but I’ve decided to start celebrating a little early. I’ve made it 30 years with diabetes, so I figure I might as well take a month to celebrate it. After all, 30 years of living with diabetes every single day is kind of a big deal. Even one year of living with diabetes every single day is a big deal. On April 16, I kicked off the first event for my 30th Diaversary celebration by doing something that most people would never consider doing, but that I’ve dreamed of doing for years. 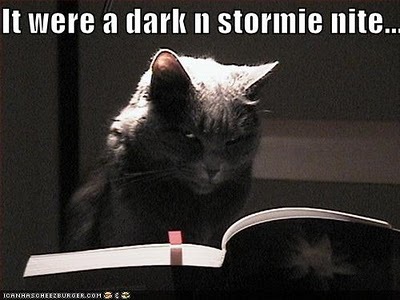 I got up early due to thunderstorms in the area, plus I was too excited to sleep anyway. 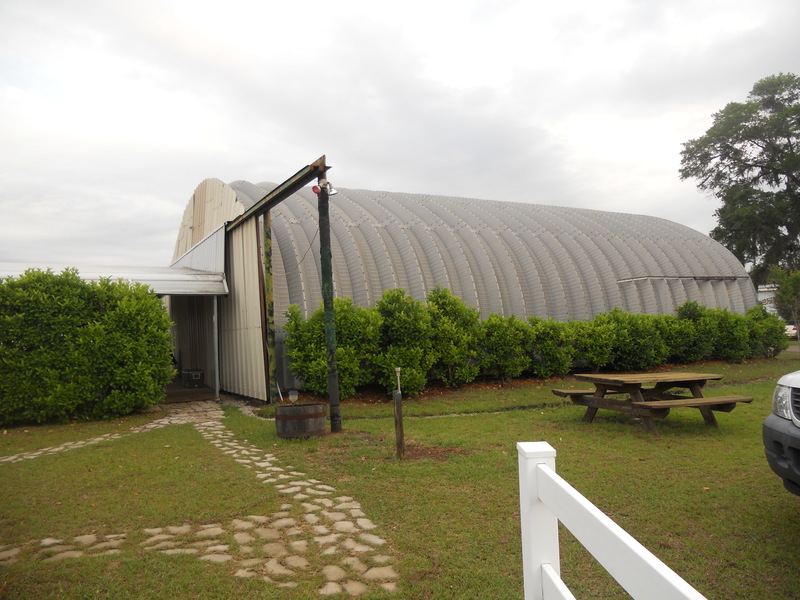 I took care of the dog and cat, went through our morning routines, then met up with A-Flizzle and a couple of friends for the half hour long drive to a semi-deserted air field in rural north Florida. We might have also stopped at Starbucks so that somebody wouldn’t be cranky because he hadn’t had his morning coffee. Coffee is up there with such necessities as insulin and glucose tabs in my world. We all have our vices. Fortunately the weather cleared and we arrived at our destination, where the nervousness that I had before was replaced with the excitement of the adventure that I was about to go on. First, my buddy and I had to watch a training video. The video, circa 1985, starred a short little attorney guy with a beard down to his belly who was an avid skydiver and needed about fifteen minutes to basically tell us that we were taking our lives into our own hands. I do that everyday with diabetes, so not a big deal to me. 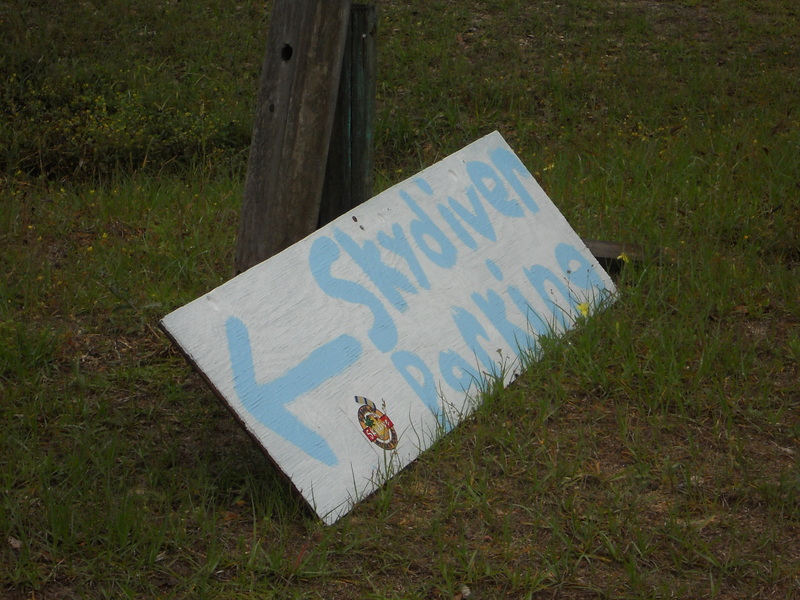 Skydiving Rumpelstiltskin at Law also shared that they wouldn’t be held liable if we plummeted to our deaths. Considering that I’d probably be more concerned about the ground than anyone’s liability if that were to happen, I took that for what it was worth and signed my life away so that I could get to the fun parts of my adventure. Watching Skydiving Rumpelstiltskin at Law video about how not to die while falling out of an airplane...but if you do, it's not their fault. 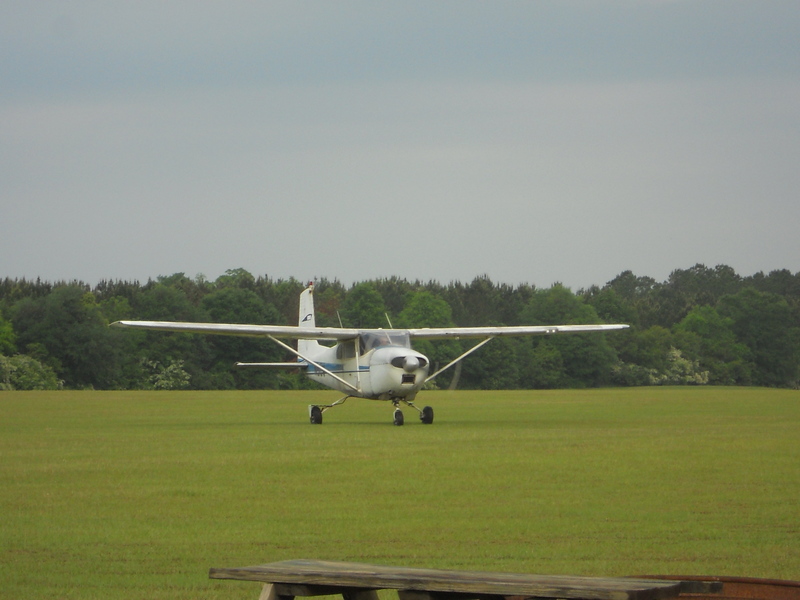 So next we got on-the-ground training from our skydiving instructor. He was a cool guy, with angel wings tattooed on his back, long blonde hair, and A-Flizzle said that he reminded her of Patrick Swayze in Point Break. All I could really think after that comment was, “You mean that dude from the pottery scene in Ghost is going to be strapped to the back of me while skydiving? 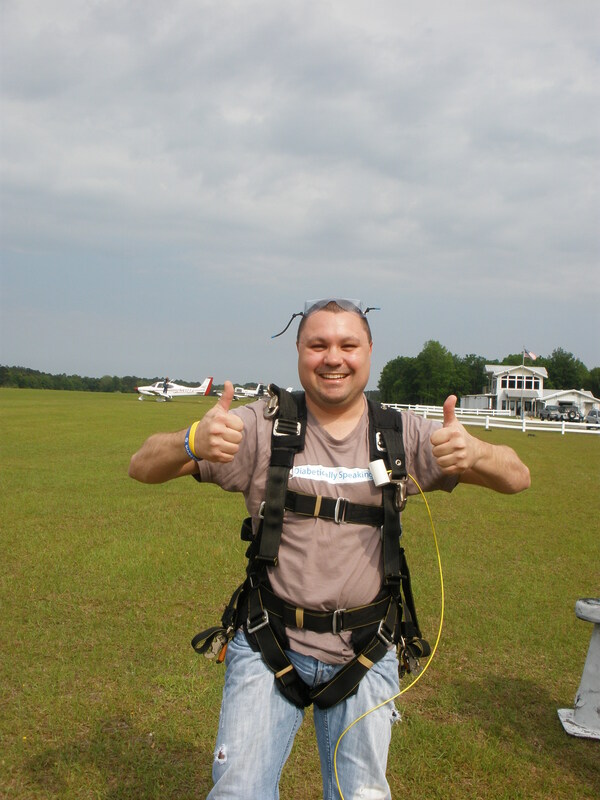 !” Fortunately, instructor dude was way cool, and even though he had jumped out of an airplane so many times that he had lost count, he was just as excited about my first jump as I was. "You want to make sure you're relaxed, because you're body is going to arch like a banana while we're in freefall. 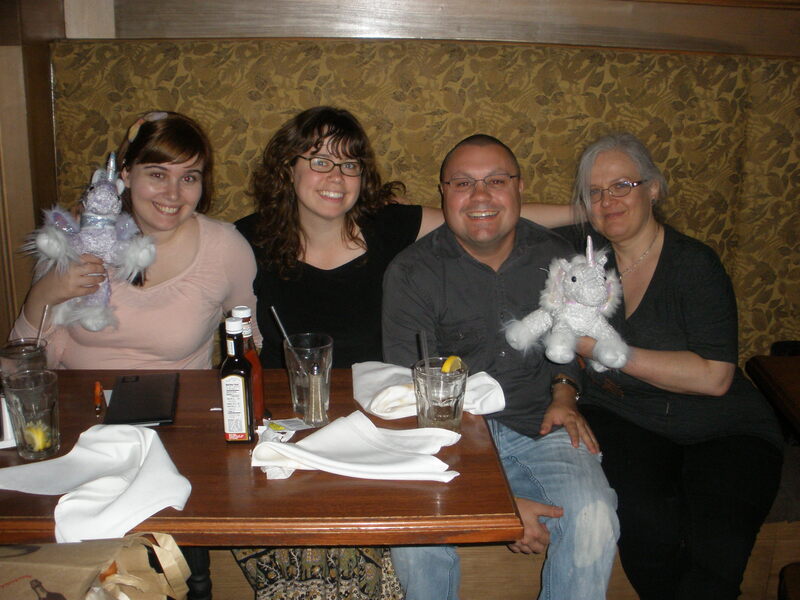 Also, this is going to make for a really awkward looking picture on your blog." 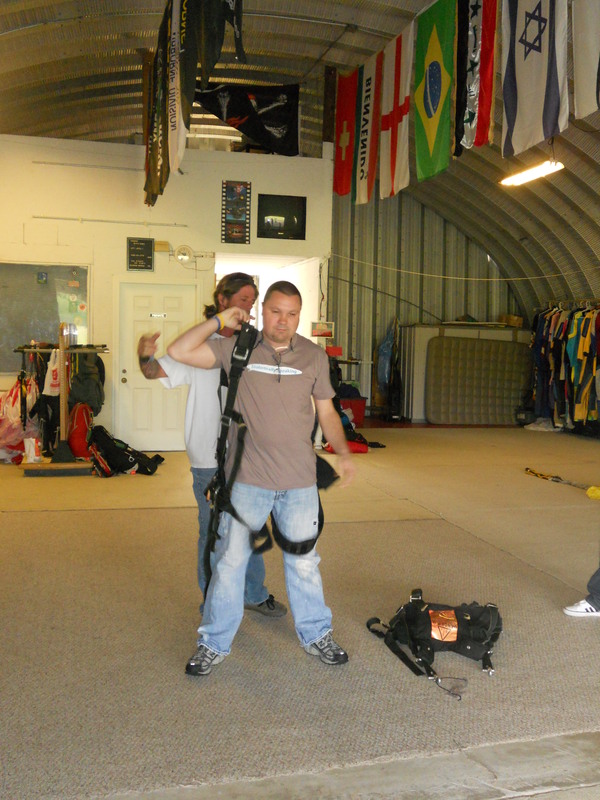 Then we came to the part where we had to put on the jump harness, also known as the apparatus that makes sure I stay securely attached to the instructor who has the parachute while gravity is pulling us toward the earth at 120 miles per hour. 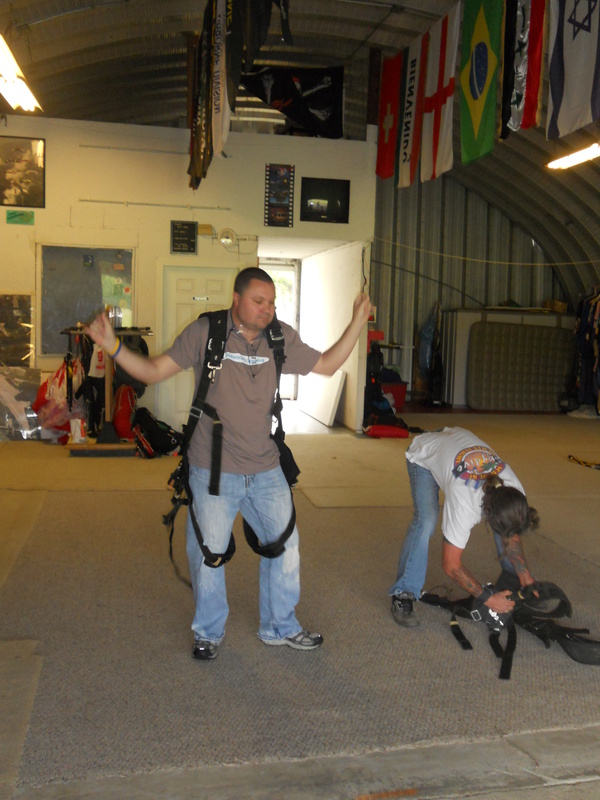 Of course, I had to dance while the instructor was getting my buddy's harness ready. It's kinda my thing. 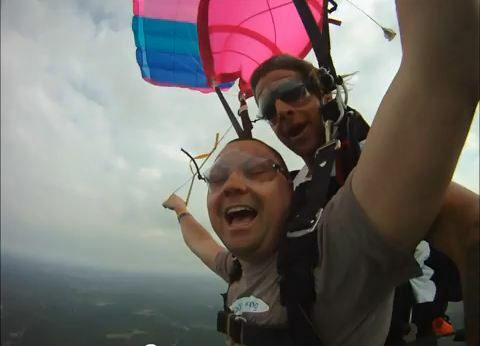 Thumbs up, sky's the limit! Now let me tell you, there is absolutely nothing that feels anything remotely close to natural about jumping out of an airplane when you can look out the window of it and see clouds. When the pilot opens the cockpit door, and the cold wind hits you in the face with a hurricane’s force, and the instructor who you hope is securely attached to your harness tells you to step out onto the 12 inch jump platform on the plane’s wheel well, it defies every single instinct you have not to hold on for dear life. You take a deep breath. You find this eerie sense of calm inside where there is no room for panic. 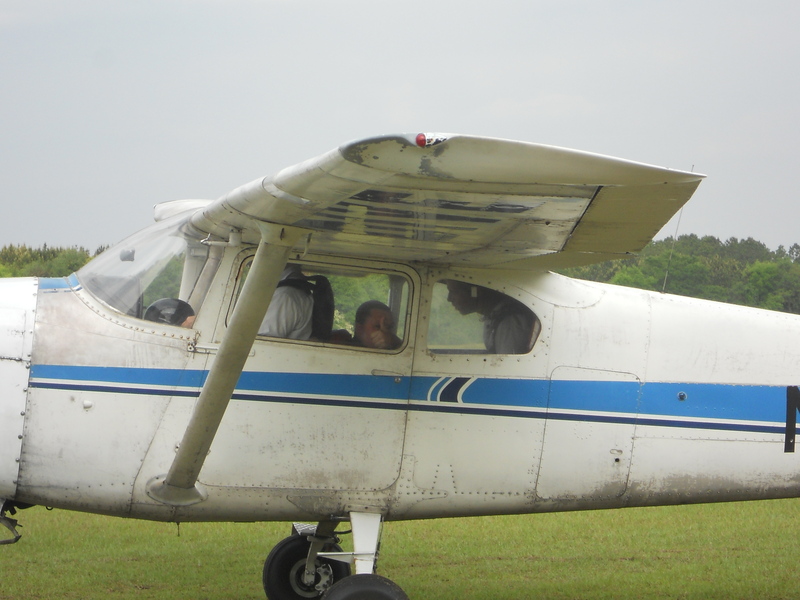 You hear the instructor count down “Ready, set, …” And then you jump, and you see the plane fall away into the sky, and you fly. 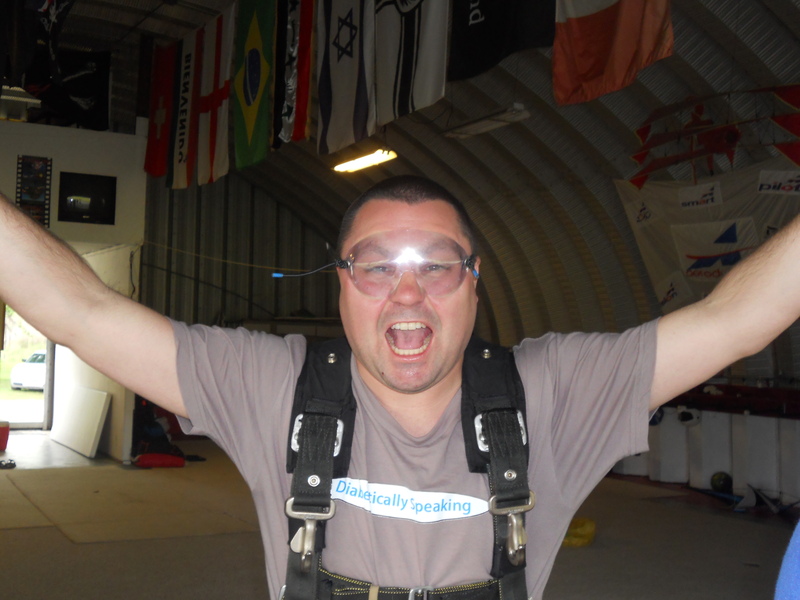 I give skydiving two thumbs up! 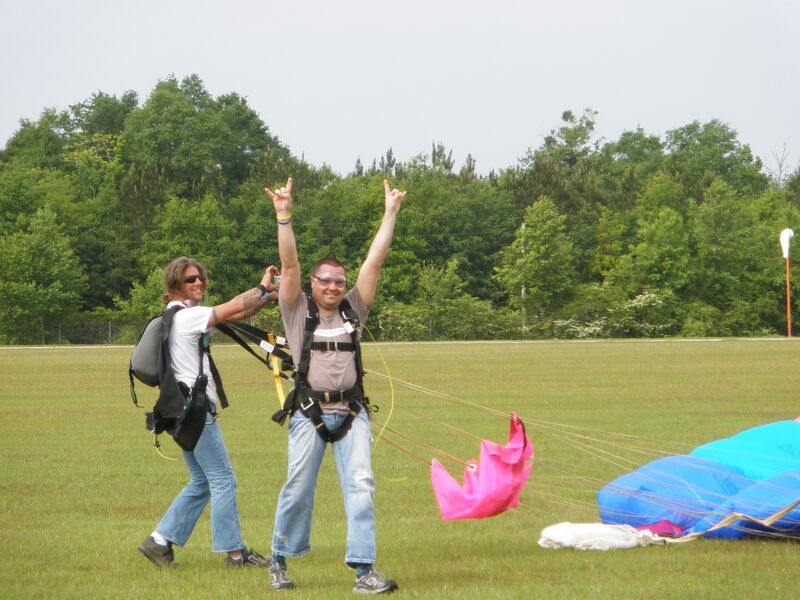 Skydiving is the single most exhilarating thing that I have ever done. 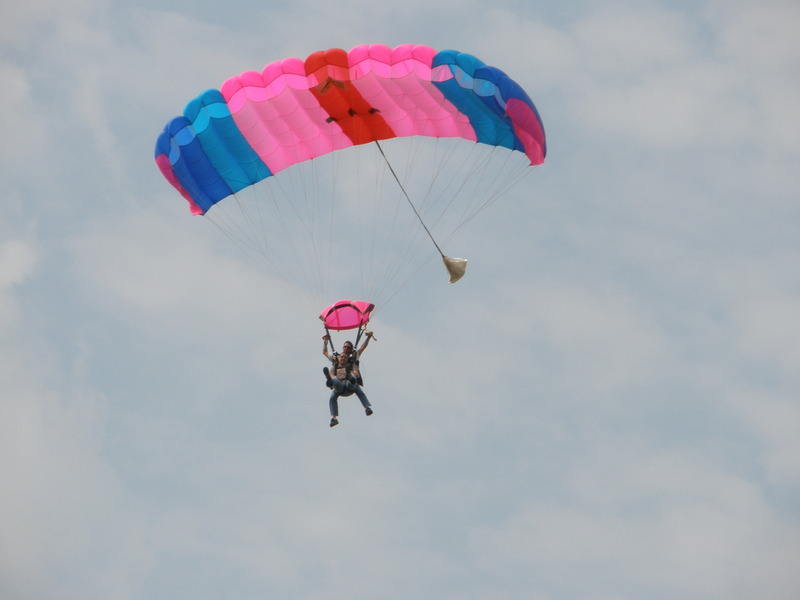 I can’t wait to go again, and I’m now toying with the idea of getting certified so that I can eventually jump on my own, without an instructor. It takes 25 jumps to get there, so I have a long way to go. However, I’ve conquered three entire decades of diabetes, living a daily life of highs, lows, finger sticks and needle pricks. 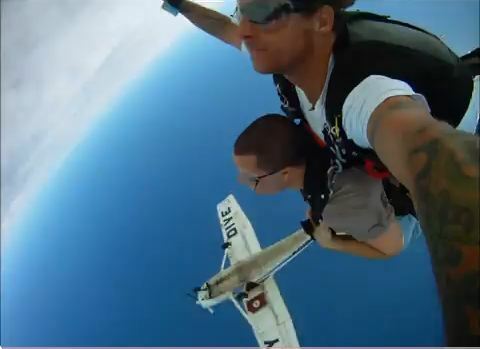 What’s 24 more jumps out of an airplane? I’m living proof that if you work hard enough, are just stubborn enough, and absolutely refuse to never give up, there really isn’t anything that you can’t do in this world. Just remember to have fun while you’re doing it!